David "Rev" Ciancio would tell you he “likes burgers,” but he’s underplaying it. 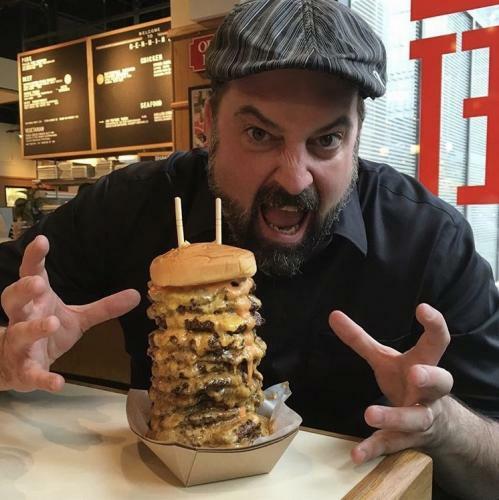 Rev took his passion for food and launched the New York City-based burger blog Great Burger Conquest, which went on to become one of the top three burger blogs in the world. That helped him transition from a successful career in the music business as the owner of a marketing and branding agency to opening a craft beer and bourbon bar, launching a successful career in hospitality marketing and advertising along with a large social media following. At his core, Rev is a brand ambassador with a passion for marketing and the hospitality business. 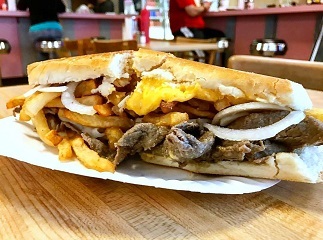 Following Rev @revciancio on Instagram, you will see a constant stream of burgers, french fries, tacos, pizza, pasta, sandwiches, hot wings and other intensely delicious-looking food. His reputation as a food fanatic and literal tastemaker has turned him into a professional food judge. Rev has judged the NYC Bacon and Beer Classic, New York Best Wings Festival, NJ Taco Festival, Nathan’s Famous Hot Dog Eating Contest, Staten Island Celebrity Chef Wing Fight and many more. In 2012, Rev founded and produced the first-ever NY Burger Week, an annual seven-day celebration of hamburger events in New York City. revciancio features stream of burgers, french fries, tacos, pizza, pasta, sandwiches, hot wings and other intensely delicious-looking food.